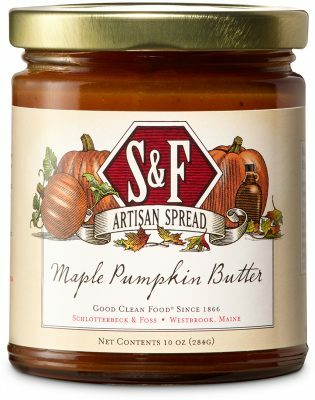 Enjoy the flavor of Autumn all year; this pumpkin butter is seasoned with pure maple syrup and cinnamon. Stir into a latte or chai tea. Spoon over pancakes or waffles. Layer into yogurt parfaits or blend into whipped cream. Mix into oatmeal and top with roasted pecans. Pumpkin, Cane Sugar, Maple Syrup, Lemon Juice Concentrate, Spices.